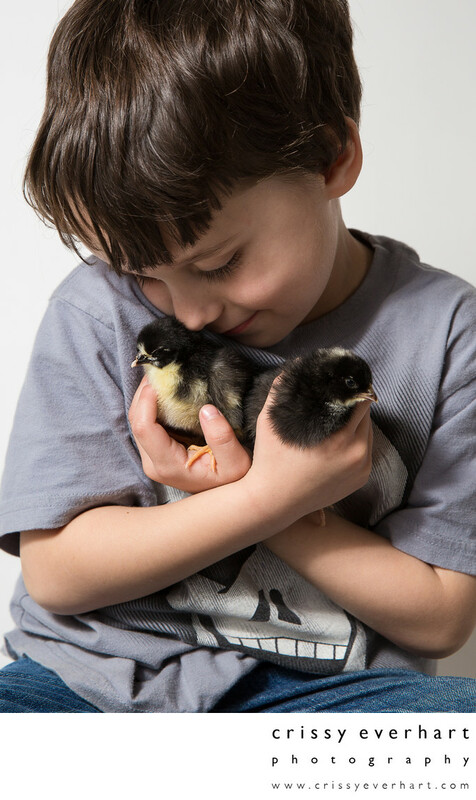 My five year old son, Jack, holds Noodle and Pepper, two of our seven baby chicks we got from Pickering Valley Feed and Farm in February. Noodle is a Black Australorp and Pepper is a Plymouth Barred Rock. Here they are only two days old but it was the first day we had them at our house, and the boys instantly fell in love with them.